Description: Many times, as you pursue the success you want, you find yourself going nowhere. Even after you have read books, attended courses, and followed every step they laid out for you, you are still stuck in the same place. Sometimes… you might be waiting for “the last jigsaw piece.” Destiny might be the one responsible for reeling you into this book—leading you to the last piece of the puzzle. 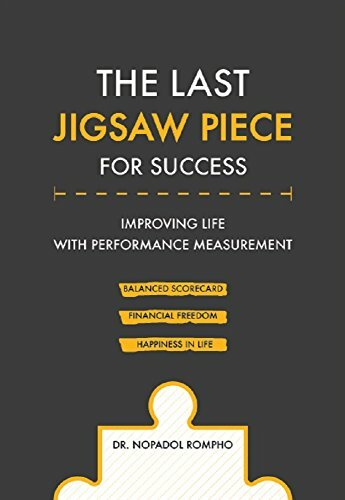 Let “performance measurement” be one of the tools that leads you to your goals.